Our mission is, and always has been, to advocate for individuals and families to live healthier, more fulfilling lives. Which is why we feel obligated to write to you as one of countless groups that has denounced the American Health Care Act (AHCA). We don’t take sides politically. We don’t support one candidate over another. But we appeal to the humanity in each person, if this bill were to become law, millions will lose insurance coverage, thousands of your fellow citizens will suffer and die. We implore you to be vocal and to become active. You can start by contacting your elected representatives. You can obtain their contact information here. A New Jersey Nonprofit Corp. Fellow professionals please join Roseann Bennett, LMFT, at the conference! Center for Assessment and Treatment was privileged to receive a donation of stuffed bears from Jayme's Fund for Social Justice (JFSJ). Jayme's Fund for Social Justice is a nonprofit organization started by Jayme’s mother, Caren B. Lipkin Rifkin, with the mission to promote human rights for children in memory of her daughter. Center for Assessment and Treatment's intern Elizabeth Worth, who attends Southern New Hampshire University, volunteered with JFSJ during the previous school year. The Jayme’s Bears Project provides hand-sewn bears for children living through difficult circumstances locally and around the world, states the Jayme's Fund for Social Justice website. We'd like to thank Jayme's Fund for Social Justice for their gracious donation of Jayme's Bears to our agency. To learn more about JFSJ and the Jayme's Bears Project visit www.jaymesfund.org/jf/. Center for Assessment and Treatment staff with stuffed bears donated from Jayme's Fund for Social Justice. The co-pilot involved in the Germanwings crash has brought to light concerns regarding the stigmatization of mental health. The fear of being ostracized for receiving mental health treatment may lead people to be less likely to seek out treatment. The recent death of comedian/actor Robin Williams has also put more of a spotlight on mental health issues and how people are or are not being treated. “Choosing the right mix of treatments and supports that work for you is an important step in the recovery process. Treatment choices for mental health conditions will vary from person to person. Even people with the same diagnosis will have different experiences, needs, goals and objectives for treatment. There is no “one size fits all” treatment,” states the National Alliance on Mental Illness. The NAMI lists different types of health professionals and different treatments available on their website. Erica Goode of The New York Times wrote about how the Germanwings crash is bringing mental health and how it is being treated to the forefront of society. Her news article can be read here. 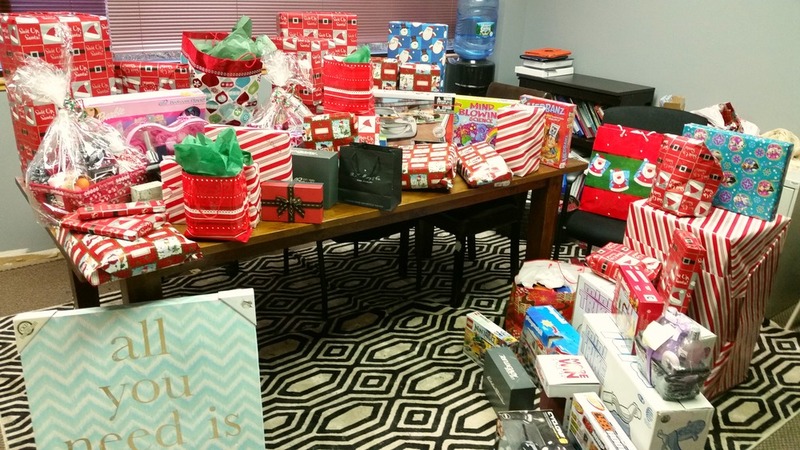 The Center for Assessment and Treatment's Third Annual Toy Drive was a huge success. We were able to distribute over 80 gifts to children in the community. We'd like to thank the students at Parsippany Hills high School for donating. Center for Assessment and Treatment is running its third annual toy-drive. We're accepting toys for boys and girls ages 3-10+ that are in new, unopened packaging. Donations will be given to children who attend services at this agency. Any leftover toys will be handed-out on a first come-first serve basis. Donations can be dropped off at Center for Assessment and Treatment, located at 254B Mountain Avenue Suite 300, Hackettstown, New Jersey, between the hours of 11am-6pm. Children come together each week in developmentally staged groups from ages 7-11 years. During the sessions they focus on collaborative projects in a specifically designed LEGO room. To prompt interaction among the children and help them come up with their own solutions, I will divide up tasks so they have joint and interactive jobs to do. This collaboration requires close interaction and communication among group members naturally reinforcing social contact and good behavior. The participants collaborate on building sets, freestyle projects . Our goal will be to build a Lego set each week, importantly with a social division of labor. In a group of two, one person is the supplier (finding the right pieces) and the other is the builder (puts the pieces together). Group members will have to communicate and follow social rules to complete the LEGO build. Each activity requires verbal and non-verbal communication, collaboration, joint problem-solving, joint creativity and joint attention to the task. Center for Assessment and Treatment held it’s 2nd Annual Backpack Drive over the past several weeks. Community members generously donated notebooks, backpacks, binders, pens and various other school supplies. Help students in your area by providing them with supplies to help them excel! School supplies are essential to academic success. Thankfully we have individuals like Jenna Houston and the Girl Scouts of America. For her Gold Award she tirelessly raised donations from local office supply stores, organized the backpacks by age/grade, and even made beautiful tags for each backpack. Thank you Jenna! Thanks to donations from Toys for Tots many children had presents under the tree. Too many people were going without treatment due to not having insurance. So we wrote a grant and Tri-County CMO provided this agency with the funds to make it happen.